Companies and investors are extremely connected in the Big Data arena. Here below a graph showing who are the stakeholders of the major bigdata technology vendors and players, and how the connect with one another. Interesting to note the camps on big data. 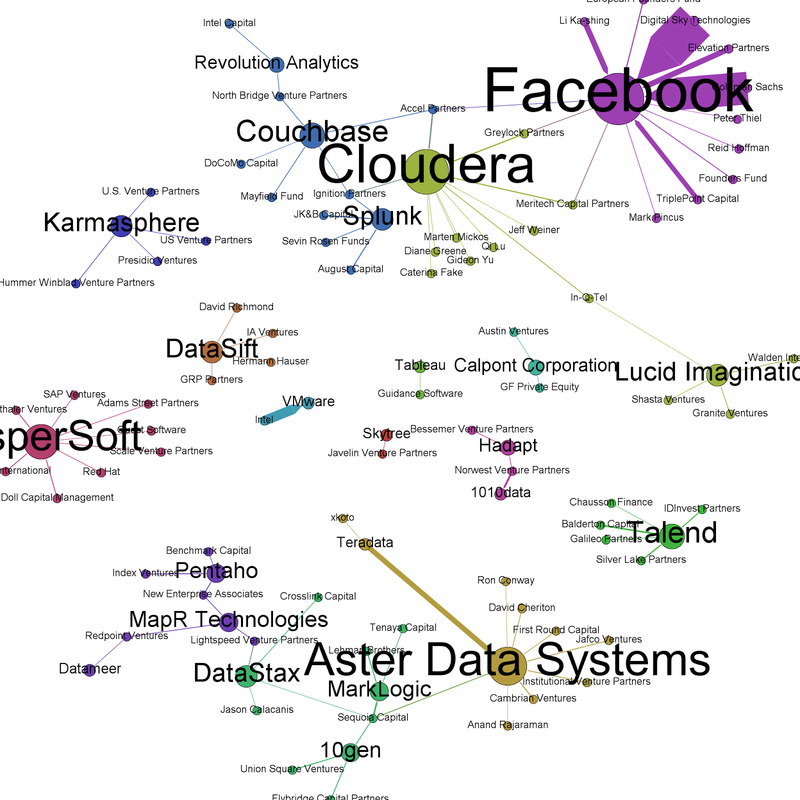 The biggest surely around the technologies offered by Cloudera (hadoop), Splunk, and Couchbase (membase, couchdb). Another big cluster is centered around Datastax (Cassandra), 10gen (MongoDB), and MapR Tech (Hadoop). This graph is showing also that the big data technologies are still evolving and new companies are jumping in with new tools and new distributions on top of the currently available nosql and bigdata open source technologies.